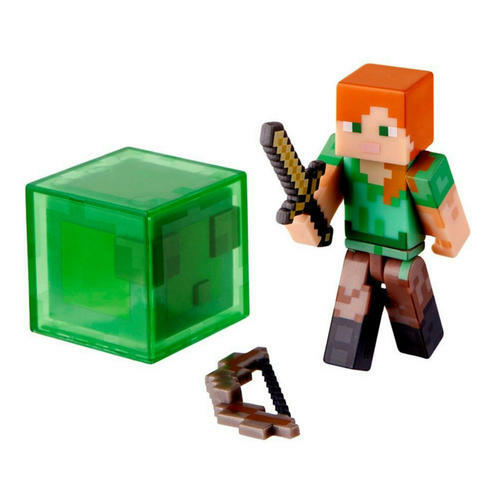 Soft, gummy rubber wristband featuring a Creeper design from the hugely popular Minecraft series. Officially licensed. 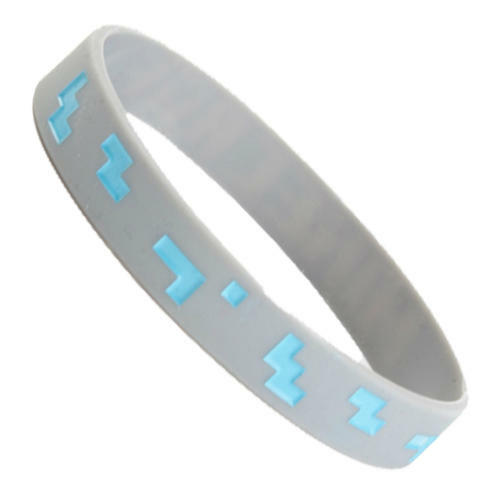 Soft, gummy rubber wristband featuring a Diamond design from the hugely popular Minecraft series. Officially licensed. 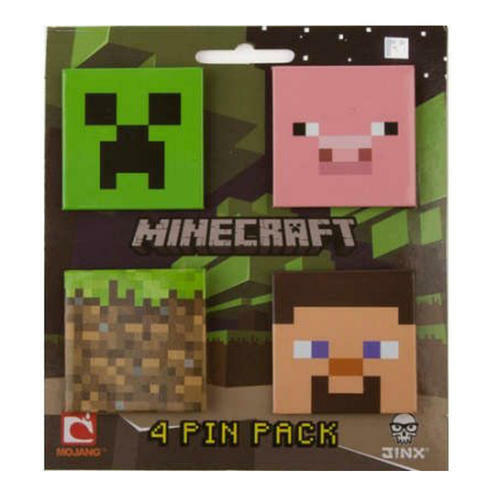 4 Pin Badge Pack featuring Creeper, Steve, Baby Pig and Dirt Block accessory from the ever popular video game series. Officially licensed. 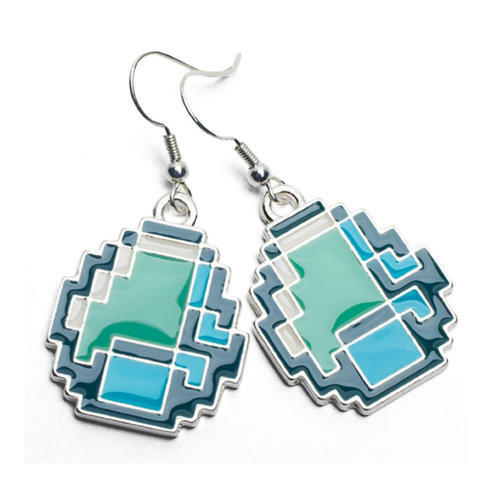 Earrings with a design based on the Diamond game accessory from the hugely popular Minecraft series. Officially licensed. 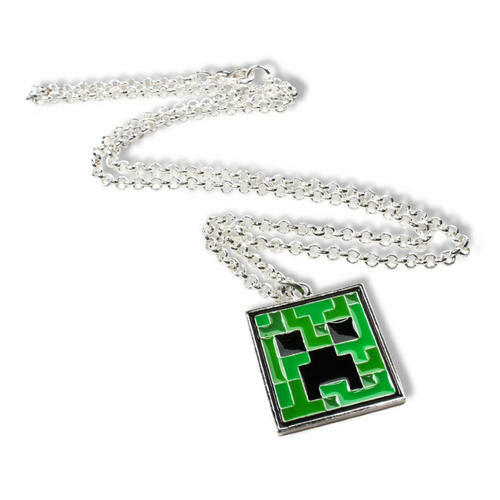 Necklace featuring a Creeper character pendant from the hugely popular Minecraft series. Officially licensed. 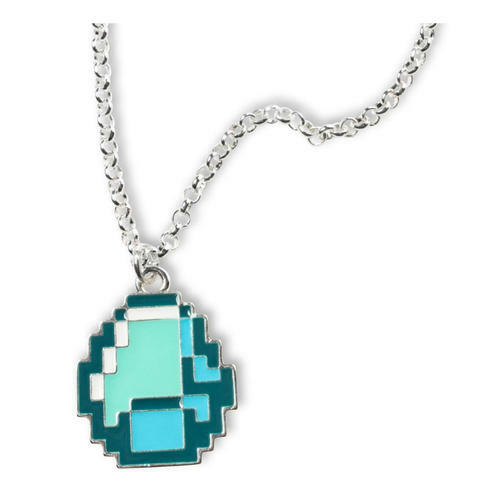 Necklace featuring a Diamond game accessory pendant from the hugely popular Minecraft series. Officially licensed. 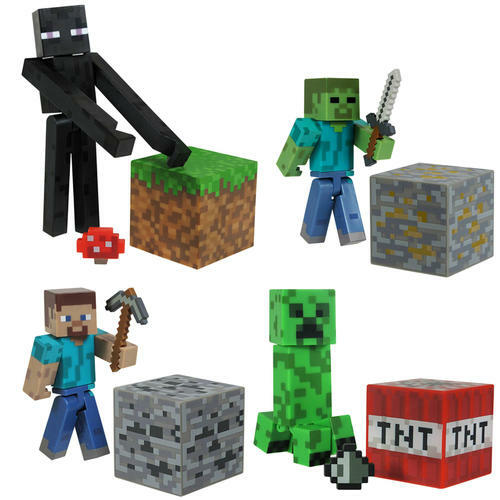 Assortment of articulated 3" figures that come complete with a building block and accessory from the Minecraft videogame. Officially licensed. 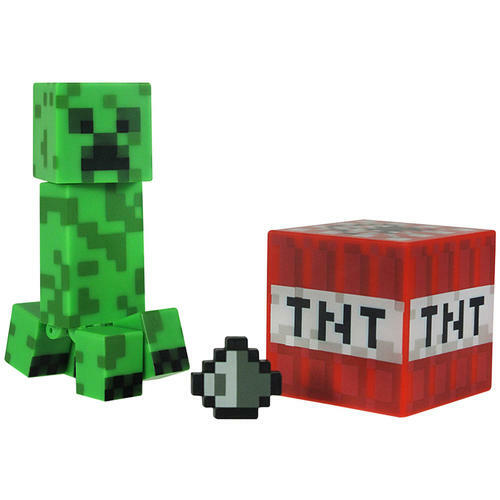 Highly detailed 3" articulated Creeper action figure featuring TNT and gunpowder accessory from the popular Minecraft series. Officially licensed. 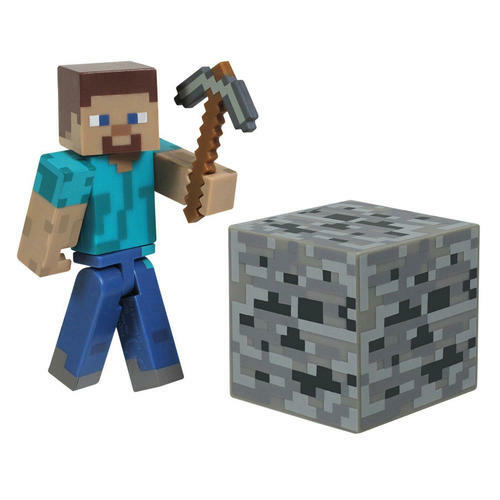 Highly detailed 3" articulated Steve action figure featuring building block and pickaxe accessory from the popular Minecraft series. Officially licensed. 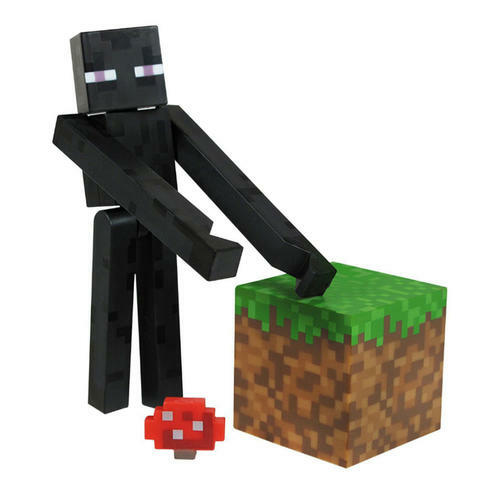 Highly detailed 3" articulated Enderman action figure with accessorys from the popular Minecraft series. Officially licensed. 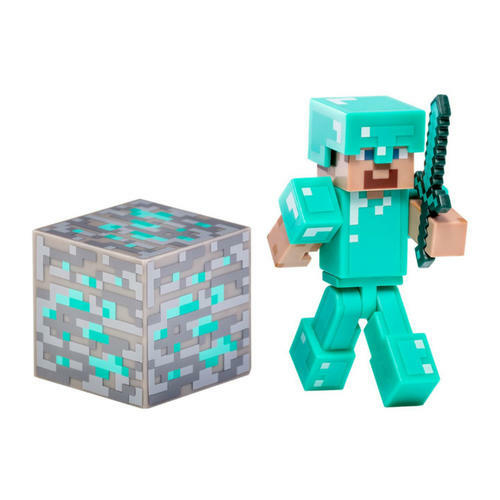 Highly detailed 3" articulated Diamond Steve action figure with accessorys from the popular Minecraft series. Officially licensed. 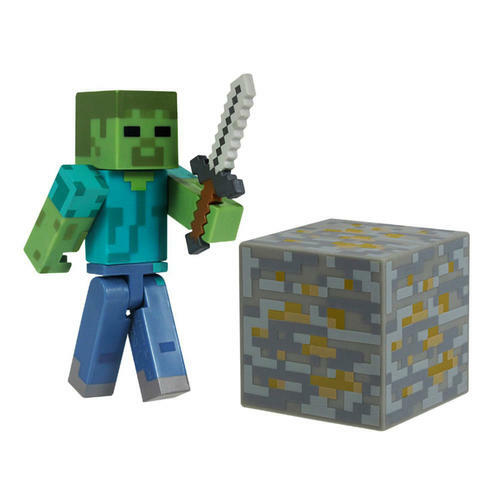 Highly detailed 3" articulated Zombie Steve action figure with accessorys from the popular Minecraft series. Officially licensed. 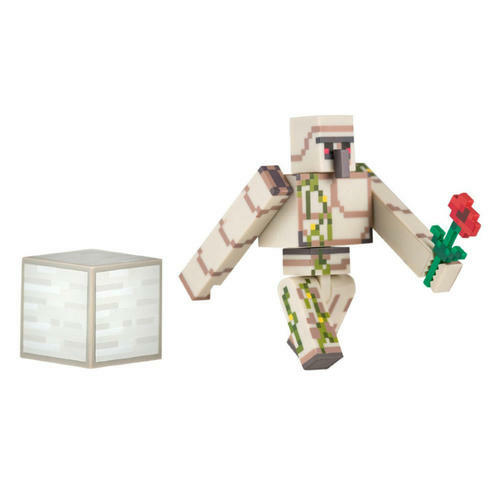 Highly detailed 3" articulated Iron Golem action figure with accessorys from the popular Minecraft series. Officially licensed. 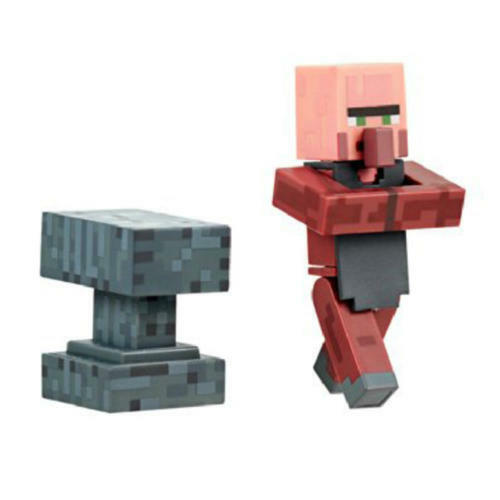 Highly detailed 3" articulated Blacksmith Villager action figure with accessorys from the popular Minecraft series. Officially licensed. 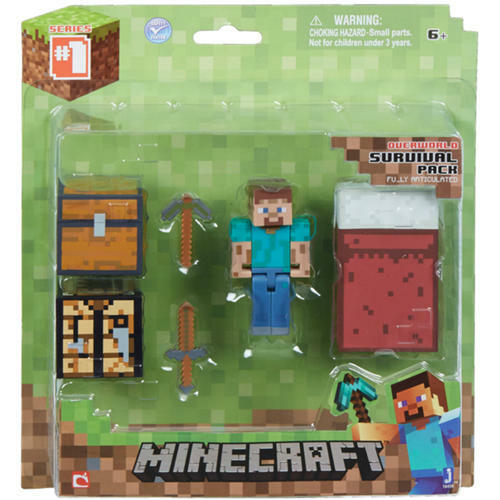 Highly detailed 3" articulated Alex action figure with accessorys from the popular Minecraft series. Officially licensed. 3" articulated Steve figure with wooden pickaxe, sword, workbench, bed, and chest accessories. Officially licensed. 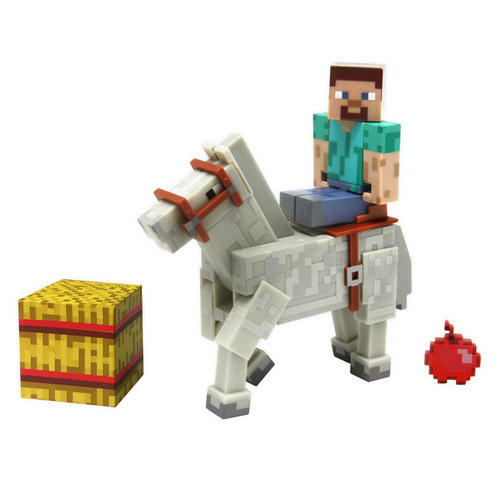 Highly detailed 3" articulated Steve action figure featuring horse, block, saddle and apple accessorys from the popular Minecraft series. Officially licensed. 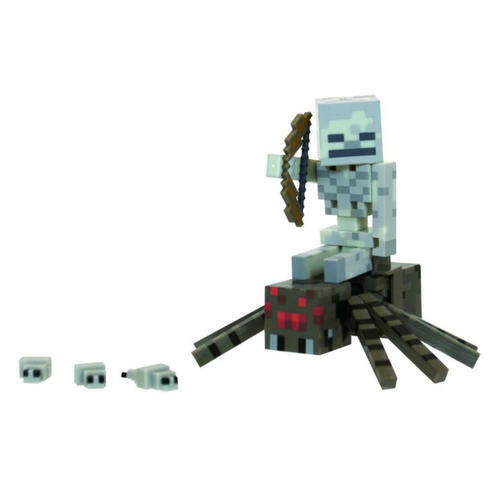 Highly detailed 3" articulated Skeleton action figure featuring Spider, bow, saddle and 3 silverfish accessorys from the popular Minecraft series. Officially licensed. 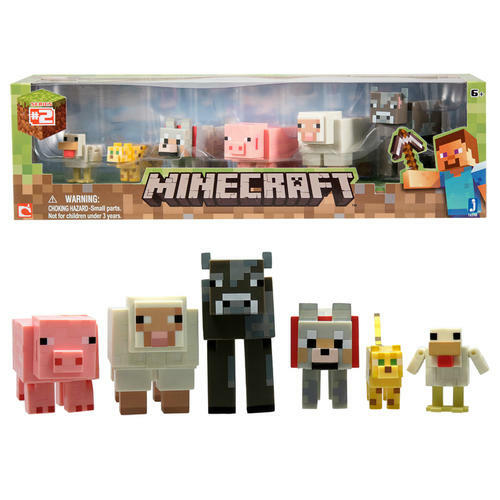 Fully articulated action figure pack featuring 6 Animal Mobs including Cow, Chicken, Pig, Sheep, Tamed Wolf & Ocelot. Officially licensed. 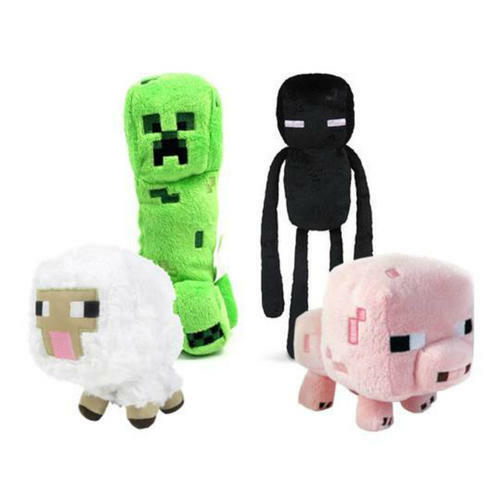 CDU featuring soft and cuddly Creeper, Enderman, Baby Pig and Baby Sheep characters from the hugely popular Minecraft series. Officially licensed. 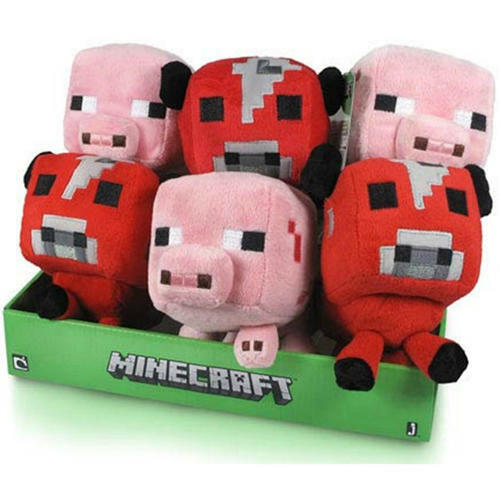 CDU featuring soft and cuddly Baby Pig, Baby Sheep and Ocelot characters from the hugely popular Minecraft series. Officially licensed. 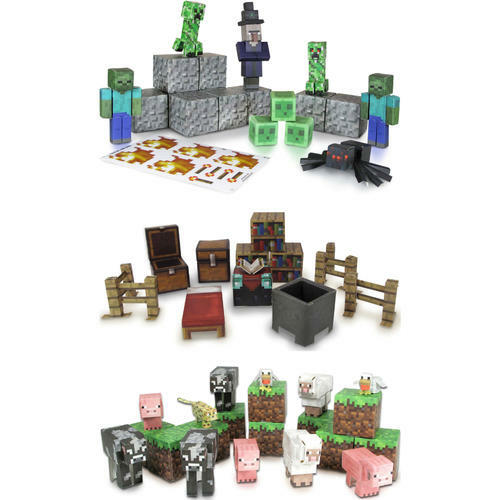 CDU featuring the Animal, Hostile and Utility Papercraft Sets enabling fans to build scenes from the Minecraft series. Officially licensed. 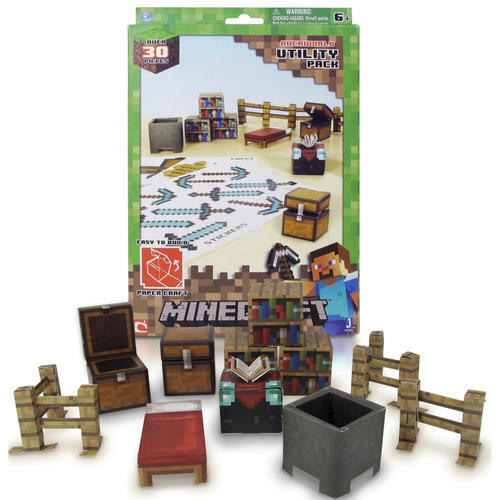 CDU featuring the Utility Pack Papercraft Set enabling fans to build scenes from the Minecraft series. Officially licensed. 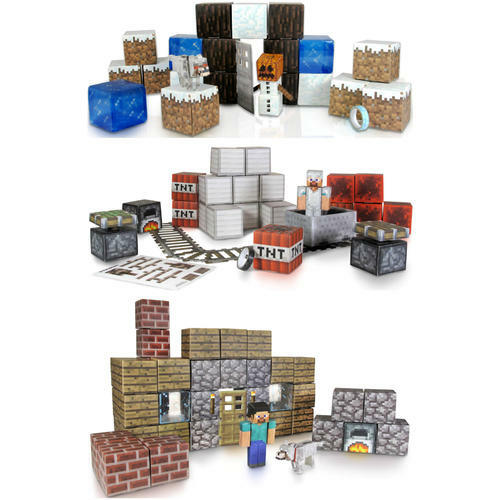 CDU featuring the Snow, Minecraft and Shelter Papercraft Sets enabling fans to build scenes from the Minecraft series. Officially licensed. 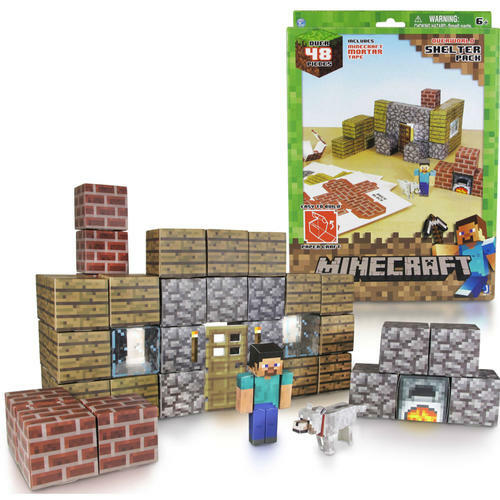 CDU featuring the Shelter Papercraft Set enabling fans to build scenes from the Minecraft series. Officially licensed. 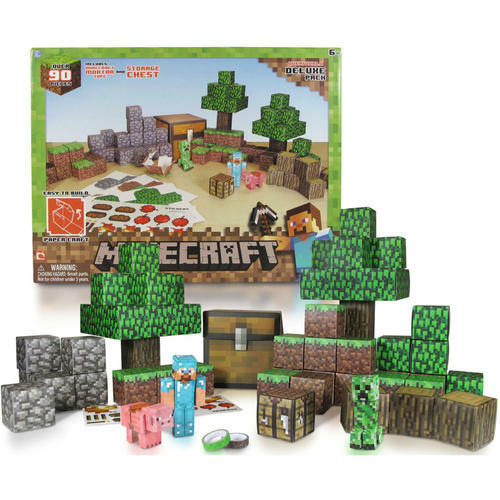 Build your own Minecraft world with this deluxe papercraft set featuring characters and accessories from the popular game. Officially licensed.